In the US, to invest in a startup, you must have a net worth of $1M or have earned over $200k a year consecutively for the past 2 years. For everyone else, that was the end of the story, unless you happened to be friends with someone who founded a startup that you happened to want to invest in. But that just changed, with Title III of the jobs act coming into effect on June 19th. 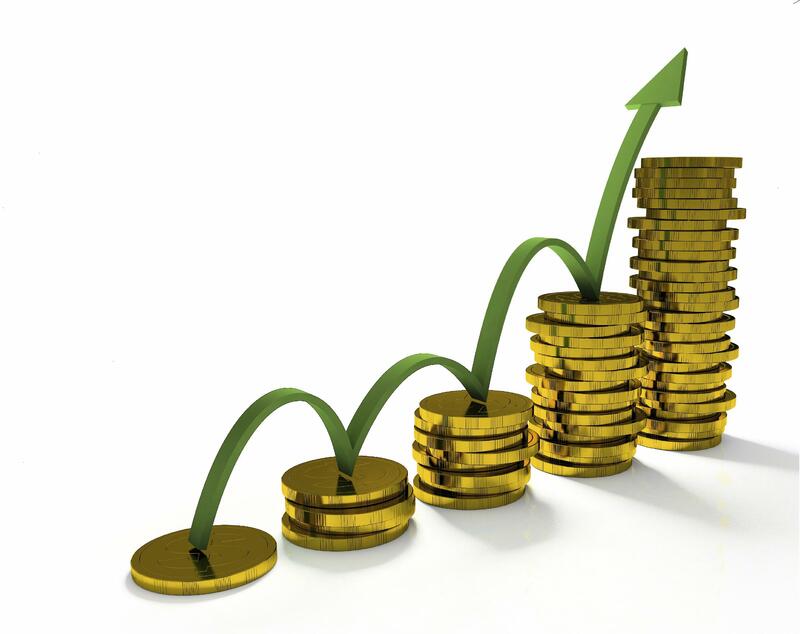 Until now, you must be wealthy to be legally entitled to invest, otherwise you were out unless you had contact with the founder prior to investment. If you’re hearing this for the first time, it probably sounds arbitrary, classist, and even oppressive against the financially less fortunate. There were, however, good intentions for creating these laws. The problem is fraud. Someone without investment experience may well be duped into investing into a junk company, whose value is only created by duping more inexperienced investors into investing, akin to what we saw in the dot-com bubble. The SEC wanted to ensure that everyone who could invest in a startup knew what they were getting into. Nothing wrong with that, right? But how do you make objective, enforceable criteria for that? Even venture capitalists, experienced investors, get it wrong all the time, but the difference is that they understand the risk. Most new businesses will fail, so you need to pick many that have decent chances, and hope that one makes it through and covers the losses of the others. So how do you make sure that anyone investing in a startup knows that it is probably going to fail, and doesn’t put all of their retirement eggs in one basket? Instead of looking at the attributes of the individual, their qualifications, or their experience, the SEC decided to look at what all those things had earned them. If you knew what you were doing, then you must have done it well enough to get rich. This is based on a 60 year old Supreme Court ruling that rich = savvy. Here’s where things start getting a little distasteful. There are many ways to get wealthy, not all of which come from a solid understanding of business and finance. So wealthy people may not necessarily know what they are getting into. You could argue that if they are wealthy then the loss of the investment will hurt them less, but the point of investor accreditation is not to prevent loss, but ensure understanding the risks. And if you have millions, you can still lose it all in one bad investment, but legally you’re deemed smart enough not to. What it does do, is prevent the middle class from bootstrapping themselves up using business investment. Even an incredibly savvy middle-class investor can’t achieve success through startup investment. Ever wonder why all Kickstarter campaigns give you a crummy t-shirt for your dollars instead of a piece of the company? It’s because they can’t without having the SEC jumping down their throats, not because they don’t want to. This is not the end of the story. The Jobs Act is in the process of reforming the laws involving accredited and non-accredited investors. Title III of the Jobs Act addresses the crowdfunding issue, that would allow non-accredited investors to participate in equity-based online investment of startups. This change came into affect on June 19th, and it still remains to be seen what the effect will be and how it will be used. Several equity-based crowdfunding platforms opened their doors that same day, with the promise of giving non-accredited investors the ability to purchase equity in startup raising funds. Check out StartEngine Crowdfunding right now to see that you really can invest in startups (for equity, not a t-shirt), though you will have to be the judge of wether or not you should. This entry was posted in Uncategorized on June 25, 2015 by Dawud Gordon. There are no laws in the US defining ownership of personal data. Isn’t that strange? 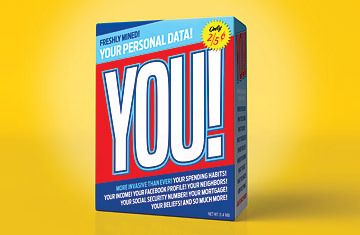 It seems logical that your data would belong to you. You say “my data” the same way you say “my phone” or “my sandwich,” but the latter two belong to you and the former only pertains to you but belongs to whoever has it in their hands at the moment, sort of like a bearer bond: possession implies ownership. In court, personal data has a significant affect on the outcome of decisions. In one case, a woman’s claims that she was assaulted were exposed to be fictitious at least in part due to her wearable activity tracker data. In another case, Lisa Roberts was convicted of manslaughter using cell location data, then exonerated 12 years later by showing that the data in question did not prove what the prosecution claimed it did. I am sure there have also been many false prosecutions which were avoided but would have otherwise occurred had it not been for exonerating cell phone location data. We don’t hear about them because the data procured by the authorities demonstrates innocence, and the individual is stricken from the list of suspects without fanfare. You have nothing to worry about if you have nothing to hide…unless you’re Ms. Roberts. A recent court decision found that the individual had no expectation of privacy when sharing information with a 3rd party. Had the decision gone the other way, it would have protected personal data, especially location data, under the 4th Amendment, meaning the courts would require a warrant for use by the prosecution. While it’s true, no one expects privacy anymore, but at least in the case of Ms. Roberts she would want it. The lack of expectation is more a function of the broken data economy than it is of individual wishes or interests. This is made more apparent by the fact that often the prosecution can easily gain access to that data, where you (the defense) would have a much harder time. So your data can be used against you in the court of law, but can’t be used by you to defend yourself because you don’t have access? Just sayin’, but if you are a TwoSense user, that wouldn’t be a problem, because you have better quality data on yourself than any second or 3rd party, especially location data. This entry was posted in Uncategorized on June 24, 2015 by Dawud Gordon. Personal data empowerment is becoming an issue. In a post-Snowden era, individuals are at least aware of privacy as a concern, creating an interesting new market. One slide in our pitch deck shows 9 new startup entries into the space in one form or another in 2014 alone! But often, real change can start in academia before it trickles down to the private sector. We’ve written before about OpenPDS, a platform for data ownership and control out of MIT, piloted by Alex (Sandy) Pentland from the Media Lab. MIT has created several disruptive technologies in the past, making that push an interesting one to watch. At TwoSense, we are excited to see that this topic is popping up on people’s radar. There are so many unanswered questions in the space, and the more people who work towards this common goal, the better the chances of effecting real social change for the benefit of individuals everywhere. We have a different take on how to reach that goal, namely starting with the individual and working up, rather than starting with businesses and working down. But, as the old adage goes, “a rising tide lifts all ships.” We look forward to the insight and innovations that will come out of this project. We’ll be publicly launching our Android app soon, join the email list now if you’d like to receive updates! This entry was posted in Uncategorized on April 1, 2015 by Dawud Gordon. Thomas R. Wells posted an interesting take on why advertising is running amok in an article on 3 Quarks Daily. He postulates that the root cause is that there is no monetary price on our attention: we don’t expect to be paid for having our focus put on an advertising. The result is that competition only occurs between companies vying to fill slots with their own advertising. Because there is no cost associated with acquiring our attention, there is no push-back against the natural force to market to us. Conceptually, there seem to be some good arguments against this. First, the cost lies therein that in order to capture our attention, money must be invested in creating something that we want to watch, like a TV show or a sports event. Second, human attention is limited: true multi-tasking does not exist, and we can only hold 7 ‘chunks’ of information in our minds at any time. But either way, I don’t think anyone wants the amount of attention they have to be the limiting factor in how much advertising they see, or everything they want to pay attention to turning into a bait-and-switch for advertising. Thomas suggests that the solution is a kind of grass-roots movement, were individuals reclaim their right and demand to be rewarded monetarily for their attention. Once everyone signs up, advertisers will have no choice but to be limited not only by competition for the channel with each other, but also by the costs of the channel itself. However, he doesn’t talk about a framework for that movement: how can you get people to sign up? How do you get to 100 users? 1000? 7.1Bn? At TwoSense we think the way to start is to create a new channel that users control, and that they monetize themselves. Such a channel is far superior in quality than any other bait-and-switch channel, and can out-compete all other channels even with the extra price tag. Eventually, we hope users will dominate that market, with the support of the TwoSense framework. Are you interested? Sign up for our news updates and to hear about our upcoming launch of the mobile app! This entry was posted in Uncategorized on March 26, 2015 by Dawud Gordon. A recent article on Forbes by Tom Morton equates Big Data and its potential to be the long-promised jet-pack for business. We’ve all heard the stories of the millions made through process optimization, or real time programmatic advertising, even automated selection of cast and plot for TV shows like House of Cards, or rock bands planning tours based on where the data says their fans are. But jetpacks were supposed to be for everybody. We all walk out the front door and jet to work, or take off in your car from the highway and fly to a party (that one might actually be on its way). So while Big Data is making businesses and marketing more effective, what has it done for the little guy? What has it done for us lately? Where’s our jetpack? In some areas, people have been positively affected by big data directly. Advances happening in health care are far better than a jetpack, even if they are not immediately perceived as such. Companies like 23andMe are creating a space of preventative medicine like we’ve never seen before. Also triage and symptom diagnostics are about to radically change. We will no longer have to rely on the experience of a single doctor, and gone will be the horror stories of having mis-diagnosis after mis-diagnosis for Epstein Barr. However, some critics would argue that the individual is not equipped to handle that information, and will inevitably make poor decisions with regards to their health. 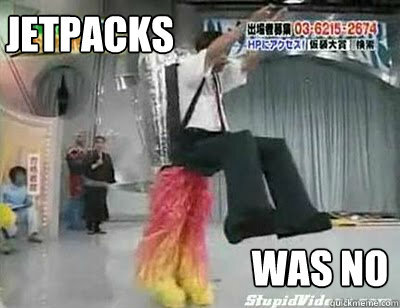 You can’t handle the jetpack! The jury is still out on that one. At TwoSense, we would like to see more Big Data focused towards the user. Why shouldn’t the data revolution make your life run better? Help you decide which job you should take? Or what you should have for dinner? The first step towards this is to have the individual be able to bring their own data into the game, and be able to use it for the purposes they choose. The current paradigm of a private data silo for each app or company will just not do for jetpacks. We’ll be launching an app soon to help users re-acquire their own data and put it to work for themselves. If you’re interested stay tuned, or sign up for our mailing list! This entry was posted in Uncategorized on March 18, 2015 by Dawud Gordon. Twitter recently announced that their mobile app will now read out and store a list of the other apps also installed on your phone. The reason for this is that knowing which apps you use will allow them to generate a more interesting and tailored feed for new users before they have followed anyone. This seems like it’s a cool thing, even though it is completely irrelevant for the 284 million users already using Twitter, which by far make up the bulk of people who will use the service in the near future. But here’s the thing: for Android, seeing the list of installed apps gives you much more then just the list of installed apps. Depending on the function call, that list is sorted by the time since last active use of each individual app. This means that any app that can see other apps installed, can also monitor your app usage in real time by checking what is at the top of the list repeatedly. So the question becomes not if they store it, but how often they store it. This effectively gives Twitter access to far more valuable information, although whether or not they harvest it is still unknown. For example, app usage statistics is very valuable for marketing purposes, and is an indicator of your personality traits or even your mental health and state of mind (depression for example). So why would any established Twitter user accept these permissions changes? The have no benefit from it since their feed preferences are already established, and have to surrender far more data for the same service. This permission is implemented by default, and since most individuals don’t understand the insight into their psyche which can be gained by this simple permission, the vast majority will probably ignore it. There is an ‘opt-out’ which seems to be a good idea, if for no other reason then to increase the potential monetary value of that data by not flooding the market with it. This entry was posted in Uncategorized on December 10, 2014 by Dawud Gordon. The personal data economy starts off with acquiring data on individuals from census information, public records, web trackers, surveys, and various other methods, some more and some less nefarious. Data is aggregated in data warehouses and sold by data brokers in large batches to whoever is interested in buying it (read more here). Most commonly it is either used for marketing and ad-targeting, or general market research. This happens constantly and mostly without our explicit consent, although often without our explicit descent either. Many articles can be found on the net written by people who went to data warehouse and brokerage companies and requested to to see what they knew about them (one, two, three, etc.). More often than not the brokerages complied, and the results were a mix of surprise at some things that these companies got right like address histories, and perplexity at vague inferences which seemed to be off the mark like race and lifestyle type. All in all it seems a great deal of accurate data about us is out there, but it’s mixed in with a lot of noisy junk that makes little sense. However, aside from being willing to tell you what they know (or think they know) about you, data brokerages will also let you ‘opt-out’ of their databases. Ken Gagne at Computerworld drew up a list of the 10 biggest data warehousing and brokerage companies, and went through the paces to see if he could opt-out of their data pools. Of the 10 he tried, he was able to effectively opt out of 9 of them with some caveats. The process was not always straightforward, but he’s documented it well so you can follow in his footsteps if you’d like. He notes at the end of the article that this is not a ‘fire-and-forget’ process. Just because you’re out doesn’t mean you won’t sneak back in when they purchase their next big batch of data. There is a service called PrivacyMate that offers to do the repeat work for you, but at $120 a year it doesn’t come cheap. This entry was posted in Uncategorized on November 23, 2014 by Dawud Gordon. WhatsApp encrypts messages, and confuses me. In February of 2014, Facebook acquired WhatsApp for $19 billion. At the time, WhatsApp had 400 million users, mostly in Europe, and were rolling out the 99 Cent annual subscription. That means the company had an annual turnover of $400 million, but was somehow worth $19 Billion. While the company was acquiring almost a million users a day, that valuation still seemed excessive and everyone tried to guess why it was worth so much. For me, it seemed obvious. My take was that the payment was not for the value of WhatsApp per se, but rather Facebook was paying to protect their existing business mode. Facebook’s revenue comes from understanding their users, and pitching them ads that they like, thereby generating higher click-rates than their competition. They had noticed that a large portion of communication between their current users was now outside of the Facebook platform, and had paid that price to stay in-the-loop in terms of what their users were talking about. And today (18 Nov ’14), WhatsApp announces end-to-end encryption for WhatsApp messages. It’s only Android users for now, and does not include group, image or video messages, but all of that is coming soon. What this means is that WhatsApp, and thereby Facebook as well, does not have access to the content of its users’ messages. On top of that, they have been planning and implementing this since the Facebook acquisition, so we can assume Facebook knew this was coming. This then begs the question, why on earth did Facebook pay $19 Billion for half a billion in annual revenue? For WhatsApp this is a great move, you just have to look at the effect of Facebook’s acquisition of Moves App on the latter’s app store ratings to see why. But why would Facebook be OK with this? Don’t they now own a super expensive but lame racehorse? I thought I had this one all figured out, and now I’m as confused as everyone else. This entry was posted in Uncategorized on November 18, 2014 by Dawud Gordon.